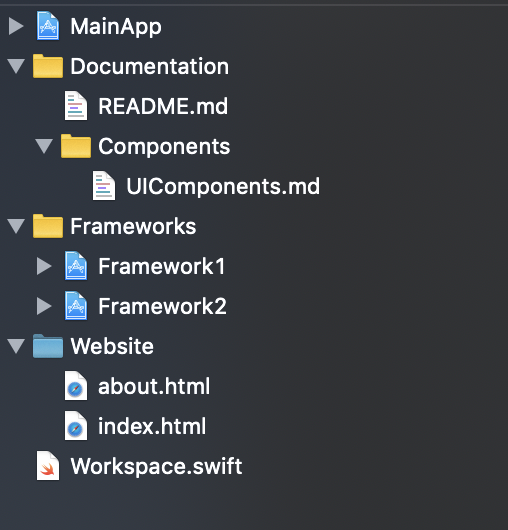 Workspace manifests allow users to customize which project are included in their workspace however doesn't yet offer the ability to add arbitrary files and folder references (to support included things like Documentation and README files). 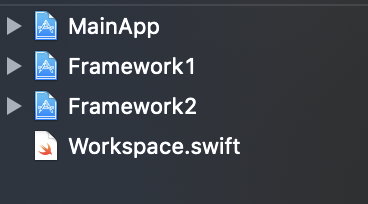 As an added bonus of these changes, we can add the ability to specify glob patterns for `projects` to make it easier to include new projects without needing to constantly update the workspace manifest. with 1,887 additions and 205 deletions. - Update `tuistenv` when running `tuist update` https://github.com/tuist/tuist/pull/288 by @pepibumur. - Workspace improvements https://github.com/tuist/tuist/pull/298 by @ollieatkinson & @kwridan. // Relative paths to the projects. 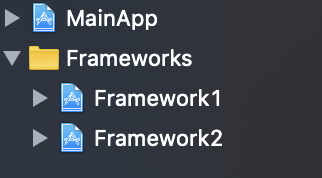 // Note: The paths are relative from the folder that contains the workspace. /// This can be used to customize the generated workspace. /// - name: Name of the workspace. /// - projects: List of project relative paths (or glob patterns) to generate and include.